Betty Louise Meyer, the daughter of William and Vina (Kayser) Johnson, was born on May 5, 1930 in Villard, MN. Betty grew up in the Kensington area where she attended country school through the eighth grade. She continued her education at Central High School in Alexandria and graduated in 1948. On December 4, 1946, Betty was united in marriage to Ervin Meyer on his parents’ farm in rural Kensington, MN. The couple lived in southern Minnesota and they were blessed with four children, Wanda, Darrell, Larry and Jodi. The family moved to Norcross and Barrett area before settling in the Hoffman area where they rented their own farm. They farmed until 1962, and the couple moved to Alexandria. Betty worked at American Cleaners for about three years and then decided to go back to school. Betty enrolled in a one-year program at the Alexandria Technical School. After her training she started working for TCI Cable Company where she became office manager. Betty retired in 1995, with almost 30 years of service in the cable industry. Betty was always an active woman. She helped Ervin on the farm for many years and tended to her vegetable gardens, and canning foods. She was even known to win a purple ribbon for some of her vegetable entries into the Douglas County Fair. Betty enjoyed going dancing with Ervin on Friday nights to area dance halls. Betty was an easy going and loving lady whose greatest attribute was one of sweetness. Betty loved the Alexandria area and volunteered as the Welcome Wagon Lady for a few years to share her love for the community with newcomers. In addition, one of her most cherished volunteer opportunities came when she took on the role of a Foster Grandparent at Lincoln Elementary School. 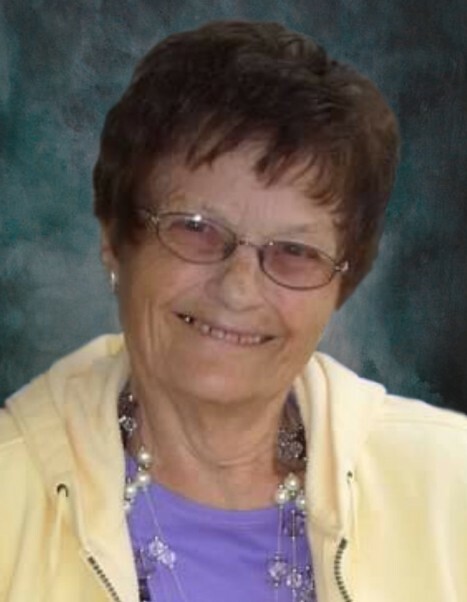 Betty L. Meyer, died on Thursday, January 31, 2019, at the St. Cloud Hospital at the age of 88 years old. She is survived by her sons, Darrell (Joann) Meyer of Rogers, and Larry Meyer of Alexandria; daughters, Wanda Navratil of Alexandria, and Jodi (Shawn) Abraham of St. Cloud; ten grandchildren, Scott (Chris) Navratil of Burnsville, Mike (Sharon) Navratil of Albany, Stacey (Kevin) Wolters of St. Augusta, Dustin (Jackie) Navratil of Alexandria, Corey Meyer of Plymouth, Jeremy (fiancé Megan Gosse) Meyer of Maple Grove, Lacy (Corey) Svor of Alexandria, Dan Meyer of Alexandria, Ariana Abraham of St. Cloud and Olivia Abraham of St. Cloud; and 15 great grandchildren. She was preceded in death by her parents, William and Vina Johnson, her husband Ervin Meyer and a son-in-law, Jim Navratil. A funeral service will be held on Wednesday, February 6, 2019 at 11:30 AM at Zion Lutheran Church in Alexandria. There will be a visitation for one hour prior to the service at the church. Interment will be at Evergreen Cemetery. Casket Bearers are Scott Navratil, Mike Navratil, Dustin Navratil, Jeremy Meyer, Dan Meyer, and Ethan Navratil. Honorary Casket Bearers are all of her dear great grandchildren.